The British Empire was once known as the empire “on which the sun never sets”, which referred to the fact that the Empire was so vast that it was always daytime in one corner or another of it. While the British Empire is now much smaller than at the time of its glory days, the United Kingdom is still an exciting and diverse isle, with a scandalous royal history that is alive and well today. You may choose to base yourself in London or travel further afield on your self-drive rental campervan vacation. Most London Motorhome rental companies, such as Pure Motorhomes, Wild Horizon, Just Go Motorhomes, Amber Leisure and Spaceships, will allow you to return your campervan hire or recreational vehicle (RV) rentals to another drop-off location. Compare campervan rental in London online and get the cheapest motorhome rental in London. London city is bright and alive, filled with history juxtaposed with modern architecture and world-class fashion and shopping. Catch the changing of the guards at Buckingham Palace, explore the often dark history of Britain at the Tower of London Dungeons and Royal Armoury exhibition, and Madame Tussauds Wax Museum; see the London Bridge and Westminster from above on the London Eye. The city of Oxford is not far from London by campervan hire, well known for its University, which has produced renowned scholars and artists alike for hundreds of years, including twenty-six British Prime Ministers. There are more than twenty universities in the town whose grounds and spires are attractions in themselves. Visit the Pitt Rivers Museum filled with explorers’ goodies amassed over the years, and have a pub dinner at Jericho Tavern. A real treat is the medieval hideaway Turf Tavern. 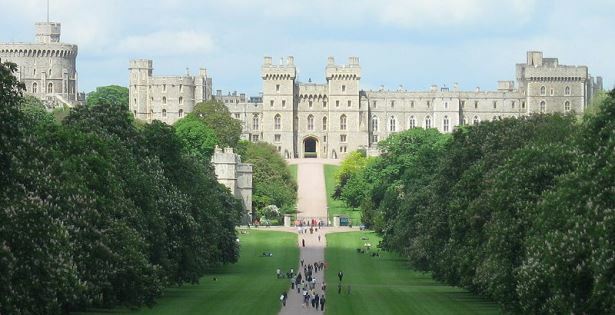 Windsor Castle, official home of the British Royal family, is located further along the River Thames in Windsor, which is also home to the prestigious Eton College, where the wealthy and royal are educated. The town streets are lined with unique restaurants and antique shops. Cross the Thames towards Eton and enjoy a meal at Gilbeys Restaurant. To continue your quintessential British exploration, spend a day or overnight in quaint Bath; see the splendid cathedral and explore the Roman Baths Museum. The southern coastline of Britain is a popular destination for visitors, so there are wonderful facilities for motorhome, campervan and RV rentals all over. Starting from London, drive your London motorhome rental southwards to Brighton, a seaside escape for Londoners. Turn west and follow the coast road through Portsmouth, Bournemouth, Torquay, Plymouth, to St. Ives on the western tip of England, then northwards towards the port city of Bristol. If you wish, continue into Wales, veering inland to leave the RV hire in the car park and explore the mountain areas of Snowdonia, the Cambrian Mountains and the Brecon Beacons.